Lead scoring models are failing. Sales trust in marketing's ability to deliver is eroding. So let's do something about it. In this expert guide we look into how to combine fit, intent, and engagement data to maximize your ABM effectiveness. Today’s B2B buyer journey is more complex, non-linear and circular than ever before. 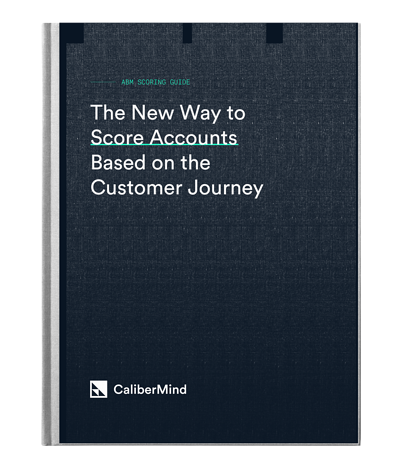 The best marketers have moved to account scoring to track and measure the entire account across the customer journey. A new scoring model based on all of the data at your disposal. Make informed decisions and drive new outcomes. Maximize your investment and return on ABM with our expert scoring guide.